Curiously the retailer had a mobile friendly website. The problem wasn’t caused by a lack of mobile design, but because Next didn’t automatically redirect mobile users to their mobile page. As a result of this significant oversite, Google deemed the website as “Not Mobile Friendly”, pushing it down the mobile search pages. It goes to show the importance of getting mobile right. 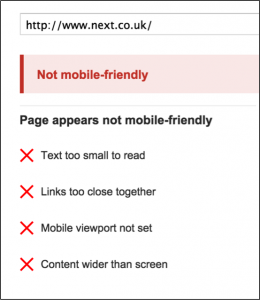 You might think you’re home free with a mobile friendly website, but as we can see from the case with Next, this isn’t always true. This is no isolated case. 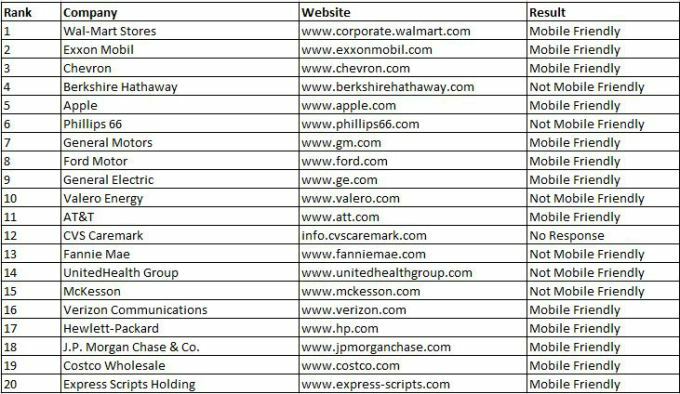 Other early losers include the Huffington Post, Dell & Reddit. Despite the evident affect Google’s Mobile Update has had on businesses, there are still Fortune 500 companies yet to respond. 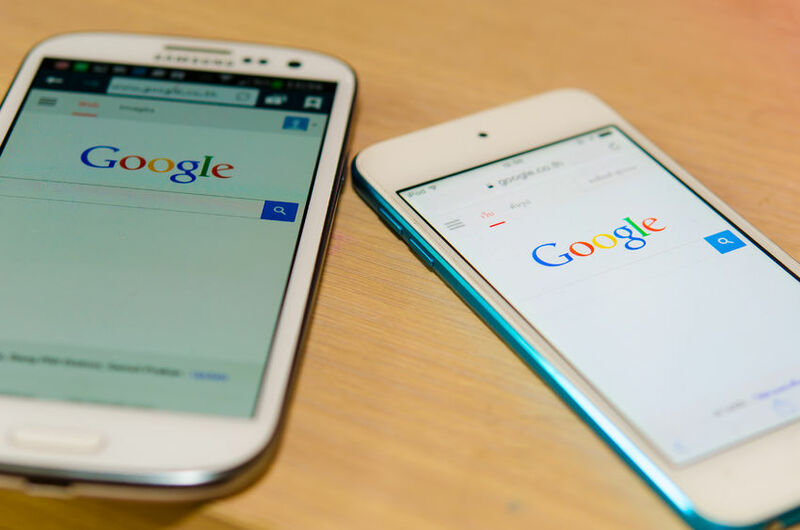 Ahead of Google’s mobile update on April 21, just 52% had a mobile friendly website. 6 Months later, not too much has changed. Valero Energy, Berkshire Hathaway, McKesson, Fannie Mae and United Health Group still fail to pass Google’s Mobile Friendly Test. Each passing month means more lost traffic and potential lost sales. More than 50% of searches are now performed on mobile a device, that’s a big percentage! According to data from Smart Insights, non-mobile friendly pages have dropped an average of 5 places since Google’s Mobile Update in April. When you consider that 67% of clicks go to the first 3 results you can see just how much businesses have been hit. If you were once 1st, 2nd or 3rd without a mobile site you’re going to lose a lot of clicks. Businesses that were once on the first page could be pushed back to for 2nd and so on. Let’s imagine a local plumber who gets a third of their sales from their website. Each month their site generates 10 customers who all come from Google searches. Before the update 4 of these customers visited the site from a mobile device. In total Google visitors make up $3000 of the plumbers income each month, $1,200 from mobile searches. Since the Mobile Update the plumber has yet to add a mobile friendly version of the website. Their mobile rankings have dropped from 1st to 5th in their town; the site now gets 1 monthly visitor from mobile devices. This represents a monthly loss of $900. Over the course of 6 months the total loss of sales comes in at $3,600; all because the site wasn’t mobile friendly. It’s a simple example that can be applied to lots of business types. It just goes to show just how important mobile is and how a lack of a mobile presence can affect your business. In stark contrast sites that invested in mobile design early on have seen a significant increase in mobile visibility. Considering the growing appetite for mobile search it has no doubt brought a ton more traffic their way. Mobile usage and search is showing no sign of slowing down. By 2019 it is expected that mobile will account for 72% of Ad Spending in the US. So the advice is, get on board sooner rather than later! Make your site mobile responsive – If you have a website that isn’t mobile friendly, the best option is to invest in responsive design. Depending on how complicated your website is it can be made responsive using the existing design and layout. Create a non-branded mobile version – A quick fix which will translate your content & pages into a mobile friendly version. Generally these aren’t branded well and don’t offer much flexibility. What’s The Right Color For Your Brand? – The FactsDoes Google Trust Your Business?